January is always an ‘interesting’ month, for as a new year commences - we all trudge back to our work, following our Christmas / New Year / Winter holidays. Cognitively it can be hard to mentally re-adjust after the extended break. For bibliophiles we often look to our reading to keep us safe from the vagaries [and randomness] of reality with its dark edges - as our thoughts from time to time create existential problems, as we contemplate existence [……as worthy as this all sounds……]. 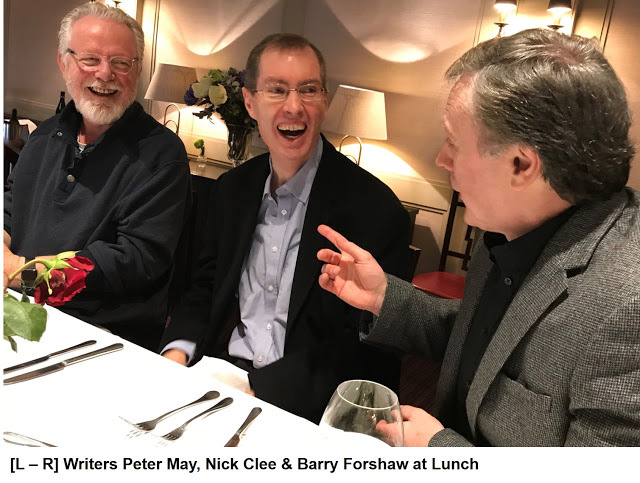 The last few years I have found award-winning novelist Peter May’s writing schedule rather helpful, for he has launched a new work each January. Peter’s writing is elegant, and for me a distraction from existential problems, as his narratives are always deeply layered with insight and compassion that cuts through the darkness, and the gloom that comes packaged with the two faces of Janus.